There are newer versions of this map available. To see them, view all Nigeria updates. Nigeria's Boko Haram rebels have been active for some years, but it's only in recent months that they've become known to control territory in the country's far northeast. Now they're facing a full-on assault from the government after the president declared a state of emergency. Read on for details! Boko Haram control and the government intervention in Nigeria's northeast. 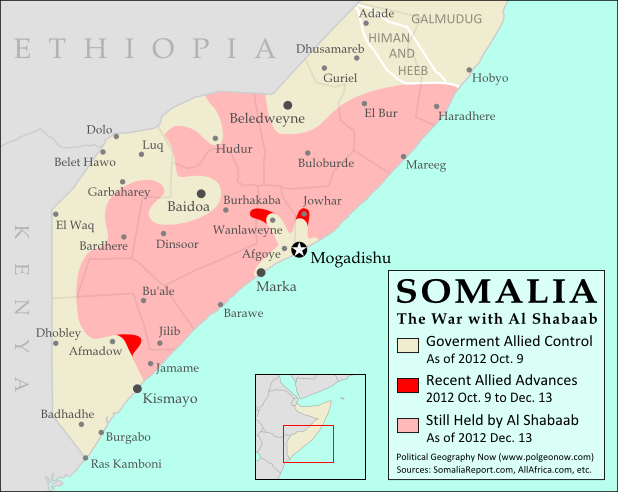 Map by Evan Centanni. Nigeria, Africa's most populous country, has faced regular attacks from the rebels of Boko Haram over the past several years. Operating in the country's predominantly Muslim north, the fighters claim to seek a purer Islamic society uninfluenced by Western ideas and teaching. 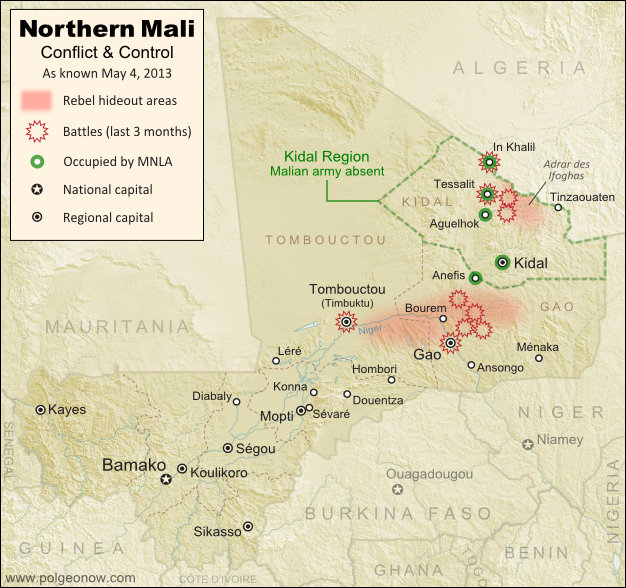 While the group's area of operations stretches across much of northern Nigeria, spilling over into northern Cameroon, until recently Boko Haram was not known for controlling any specific territory. 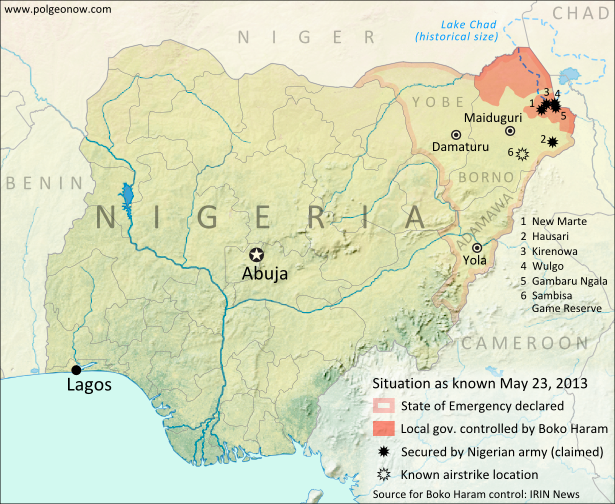 However, over the past few months there has been more and more talk of areas in Nigeria's far northeastern Borno State falling under full control of Boko Haram, especially in the area of Lake Chad and the remote border with Cameroon. A report from the U.N.'s IRIN humanitarian news agency lists eight local government areas (similar to counties) in Borno which it says Boko Haram has taken over since January of this year. *There are hundreds of languages spoken in Nigeria, but only English is official. Last week, Nigerian President Goodluck Jonathan brought the situation to the world's attention, announcing that the Boko Haram rebels had wrested control of some areas on the country, and declaring a state of emergency in Nigeria's three northeasternmost states of Borno, Yobe, and Adamawa. 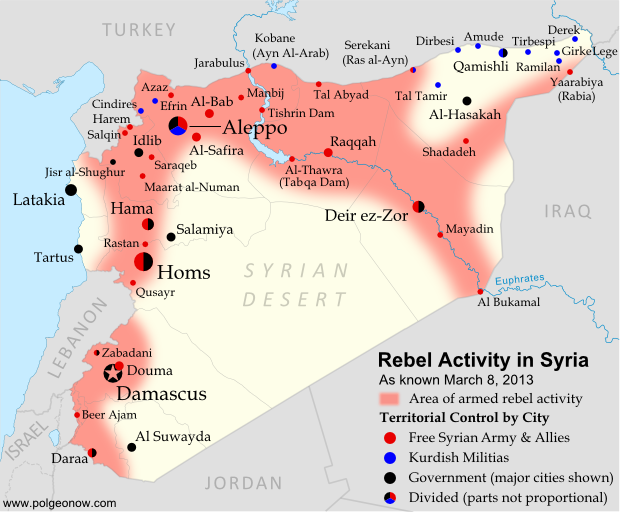 The next day, troops flooded into the region, and a government offensive against the rebels began. Though details are sparse, fighting since then seems to have focused largely on raiding Boko Haram camps in the central and southern areas of Borno state, leaving the other two states, as well as Borno's capital, relatively calm. Political Geography Now has not discovered any reports of fighting so far along Borno's northern border with Niger, despite that being an area claimed by IRIN to be under Boko Haram control. Stay tuned for more updates as new information becomes available. Keep up by checking Political Geography Now homepage, or use the Nigeria filter to view only stories about this country. Graphic of the Nigerian flag is in the public domain (source).